One of the most important days in a couples’ life should not be left to chance. You are unique individuals and will be treated as such. 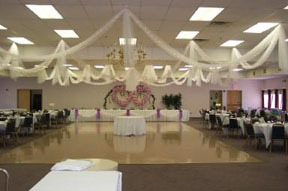 Let our Banquet Manager help you plan your special day as stress-free as possible. You will be satisfied with our menu, linen and floor plan options….at a reasonable price!